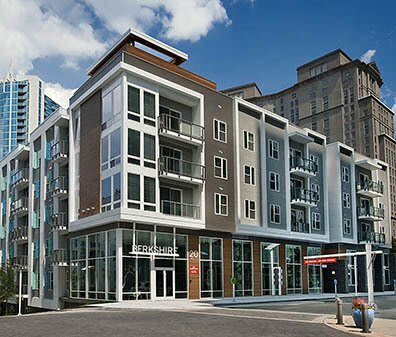 Situated in the heart of Atlanta's most prestigious neighborhood, Berkshire Terminus is where it's at. 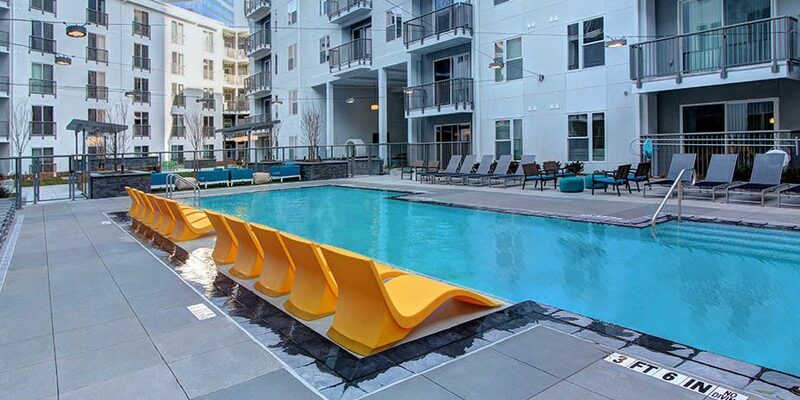 Our brand new apartment homes offer the ultimate in boutique apartment living in a prime Buckhead location, near the intersection of Piedmont and Peachtree. Easy access to GA-400, I-85, and the Buckhead Marta Station make for a seamless commute, whether you work in the city or suburbs. Not to mention, you are in the midst of the Buckhead Financial District. Berkshire Terminus is convenient to Lenox Square Mall, Phipps Plaza, and Buckhead Atlanta, the newly developed shopping district built to rival Rodeo Drive. Indulge in over 100 shops and boutiques for unparalleled retail therapy and over 100 restaurants to satisfy your taste for adventure. After hours, indulge in the atmosphere; Buckhead is known for the best nightlife in the city. Live at the most sought after address in Buckhead, Berkshire Terminus! 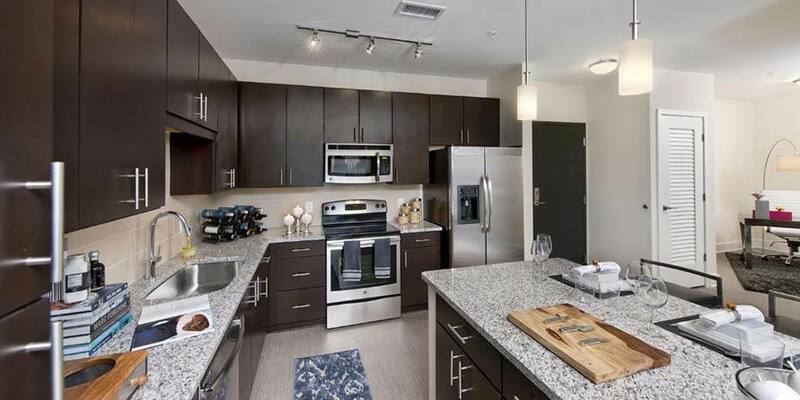 Berkshire Terminus offers an array of studio, one, and two bedroom apartment homes built with natural materials, offering refined finishes, clean lines, and elegant touches. All apartment homes are also pet friendly, so you can bring your favorite four-legged family member along. 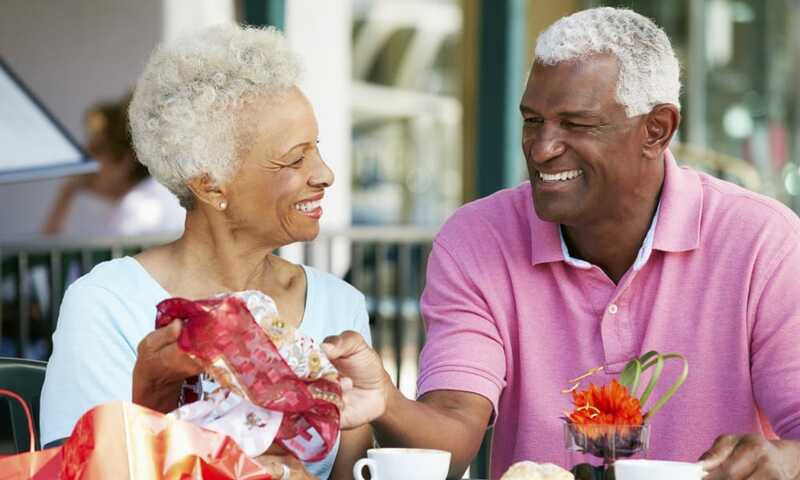 Walk to upscale shopping such as Phipps Plaza or Lenox Mall or indulge in fine dining such as Bones or Fogo de Chao, If a home cooked masterpiece is what you have in mind, Publix and Whole Foods are right around the corner. Convenient and accessible to the Atlanta Tech Village and major area employers such as SunTrust and Carter's, Berkshire Terminus is also near the Buckhead Marta station for an easy commute to Coca Cola and Delta Airlines to name a few. 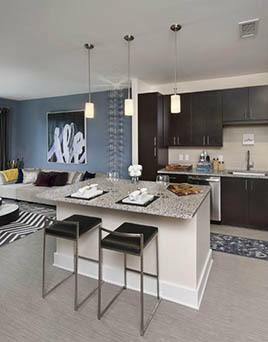 Berkshire Terminus sets the standard for refined, luxurious, and practical urban living. Visit us today. 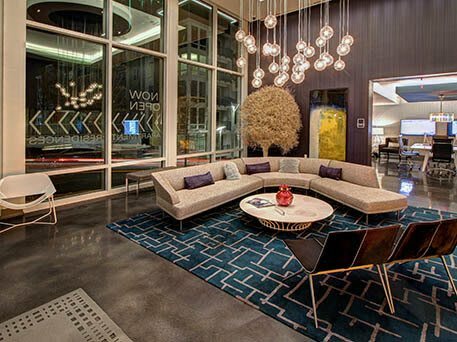 We are nestled behind the Terminus Professional Buildings and The Grand Hyatt Atlanta. Simply park in the 10 Terminus Parking Deck and bring us your parking ticket for validation. 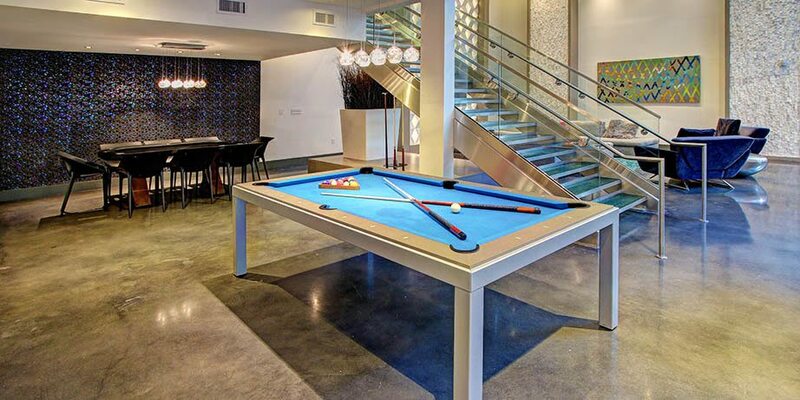 Mingle with your neighbors in our two-story social lounge with a billiards and poker table, and a demonstration kitchen. Take in a few laps in our saltwater pool or lounge poolside on our aqua sundeck with infinity edge. 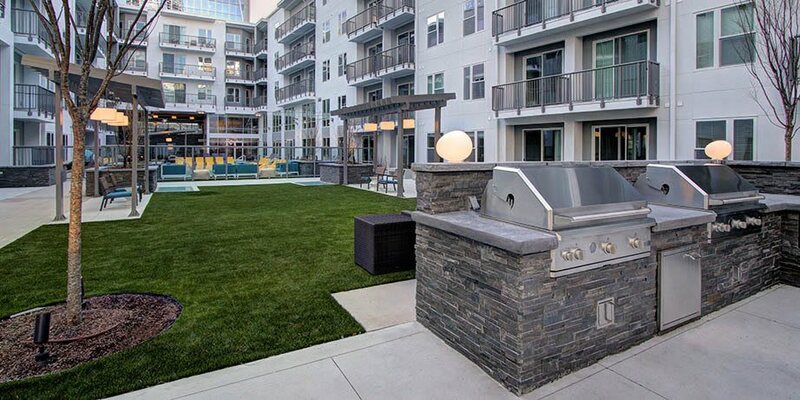 Our outdoor grilling stations make for a great escape from the hustle of the city. Sit back and relax in the courtyard or in the outdoor lawn. 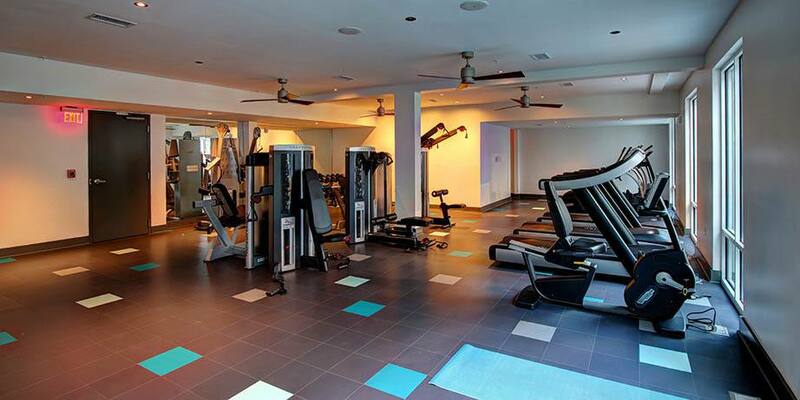 Our two-story fitness center offers Technogym equipment, smart phone enabled Fitness On Demand, and a separate yoga area. Create your own masterpiece in your new chef-inspired kitchen with granite countertops, ENERGY STAR stainless steel GE appliances. Take a tour of our beautiful Berkshire Terminus property for a firsthand look at what makes us different!